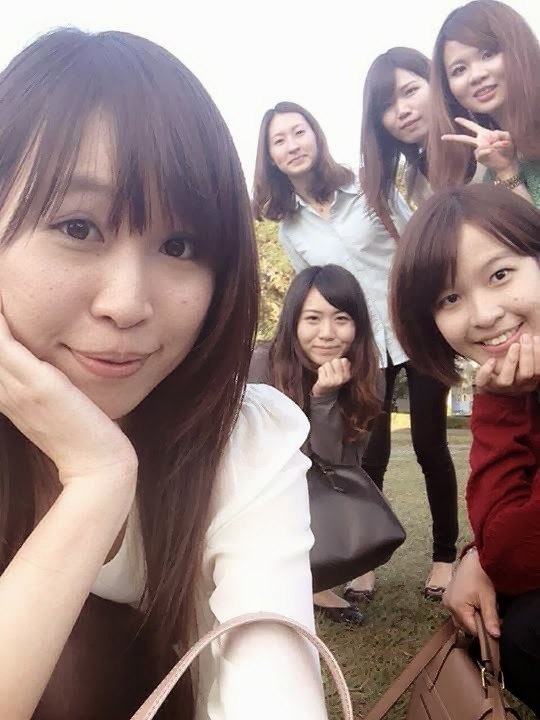 My friends and I have been good friends since university, and even though we now work in different cities, we still love to get together when we have free time. We especially enjoy meeting in winter because getting together with friends makes winter much warmer. 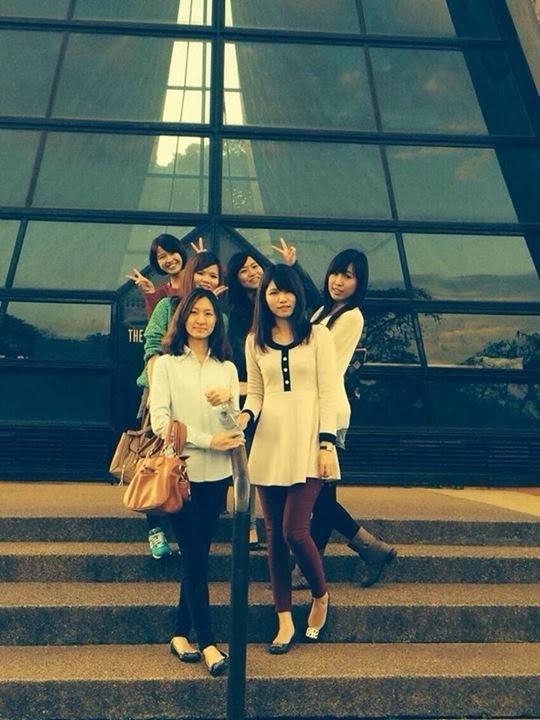 This past weekend, my friends and I went on an outing in Taichung. Taichung was sunny and not cold at all. We happily got into 2 cars and set off on our trip. On Saturday, we had planned to take pictures with Teddy Bear in CMP Block Museum of Art, but there were too many people. 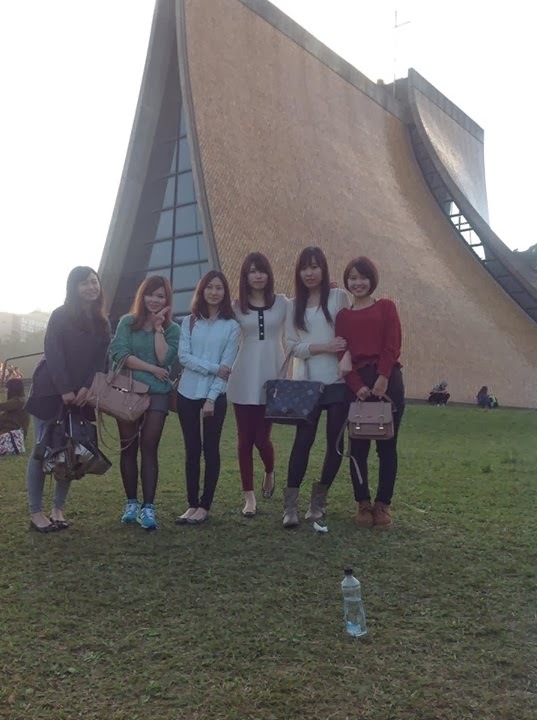 We decided to take pictures at Tung-Hai University’s Luce Memorial Chapel instead. Leoh Ming Pei built Luce Memorial Chapel, which quickly became the symbol of Tung-Hai University. Standing in front of the chapel, we felt really at peace. We took some pictures and played silly games on the green grass next to the chapel. Then we went back downtown and had spicy hotpot for dinner. Eating a hotpot meal is one of our special winter night memories from our university days. We chatted and laughed a lot since we met. When we got back to our guesthouse near Feng-Chia, we chatted and caught up on what was happening in each other’s lives. We chatted and chatted until we finally fell asleep. 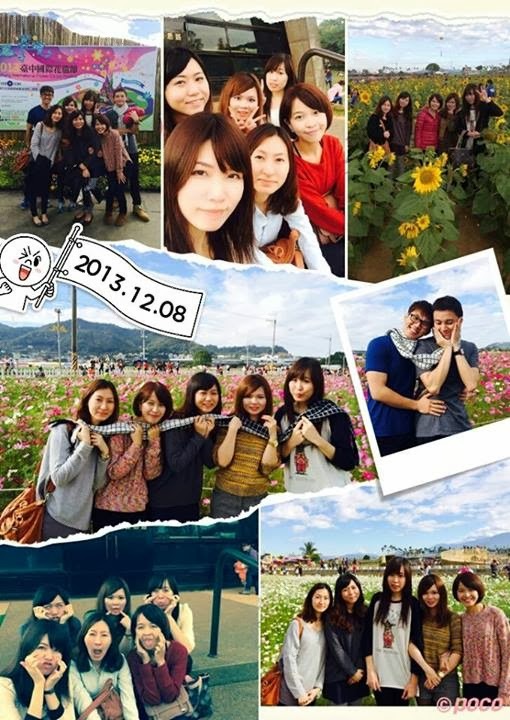 When my friends and I were classmates at FCU, we went to the Flower Sea every year, and it was always crowded. Therefore, this time we woke up early to avoid the traffic jam on the way there and to avoid taking pictures with too many people after getting there. We got up at 6 (even we couldn’t believe it! ), and although we were not fully awake, we tried hard to get dressed. The Flower Sea this year was colorful and cute. We had a happy time taking pretty photographs. As the time got later, more and more people arrived at the Flower Sea. We left before 11 so that we could avoid the traffic on the way back to town. Getting together with old friends is an important part of all of our lives because it gives us the opportunity to give vent to our bad feelings and to have big belly laughs together. Old friendships are rare and precious, and I hope I can keep these friendships forever.